New 1891-94 15c on small piece with fine OL Origine Locale, used 28 July 1902. 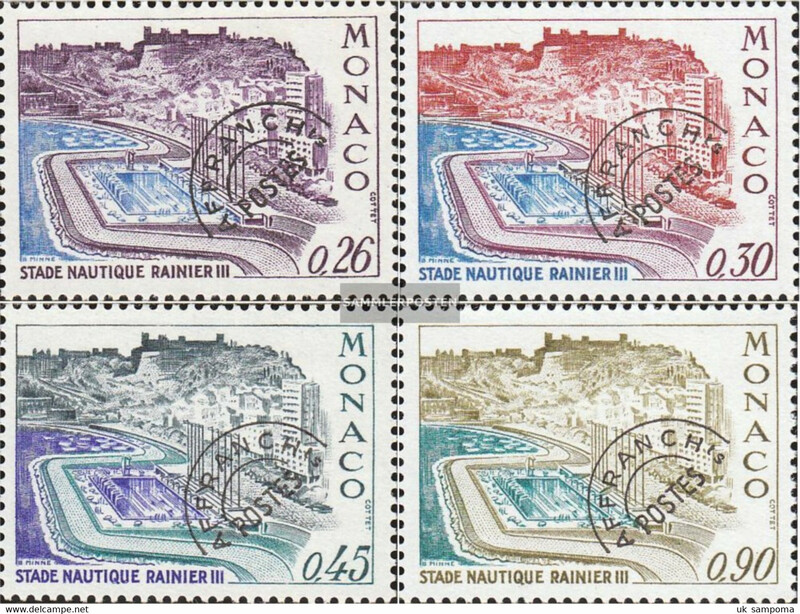 New Monaco 2001 Royal Palace set/4 on fdc – Royalty, Fresco, York Chamber. 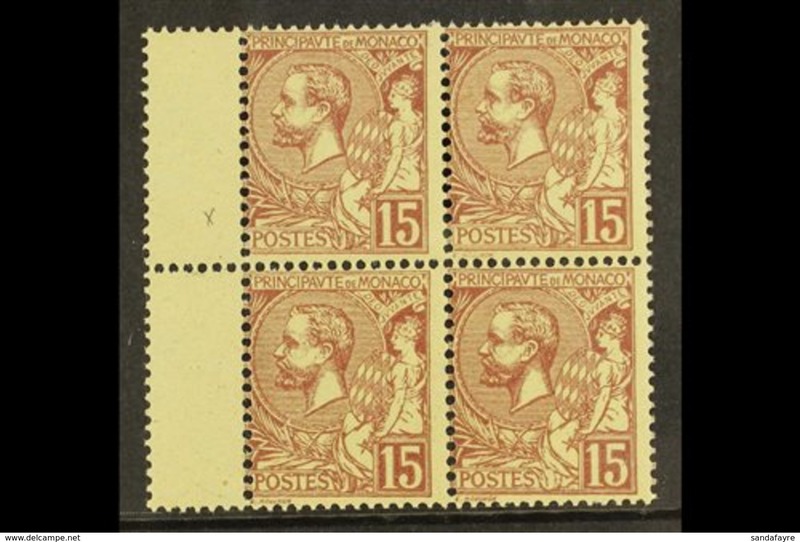 SG 2512-15. 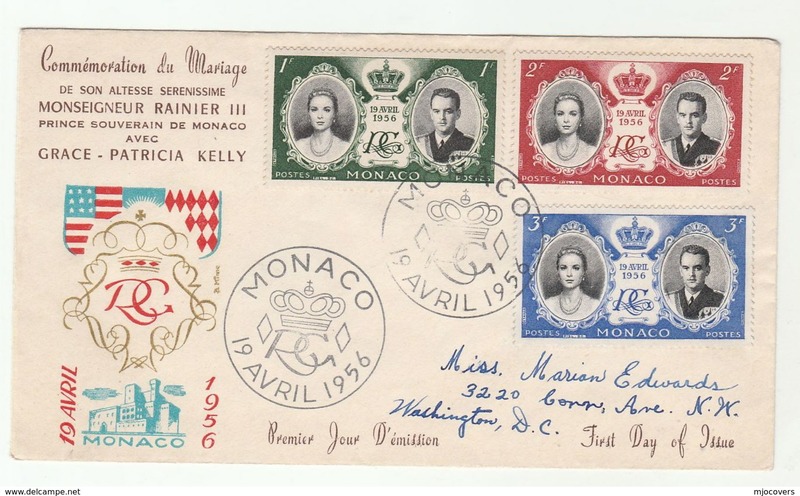 New Monaco 1999 Prince Rainier Royalty Stamp-on-Stamp miniature sheet on fdc – uncommon. 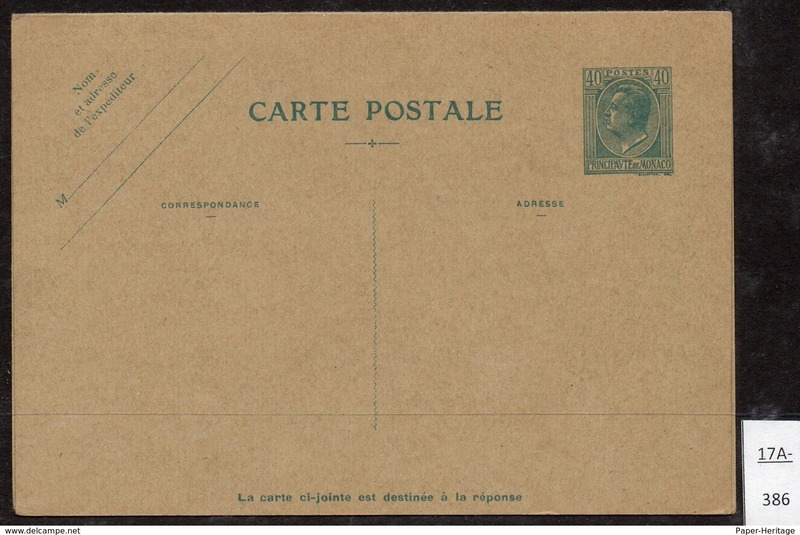 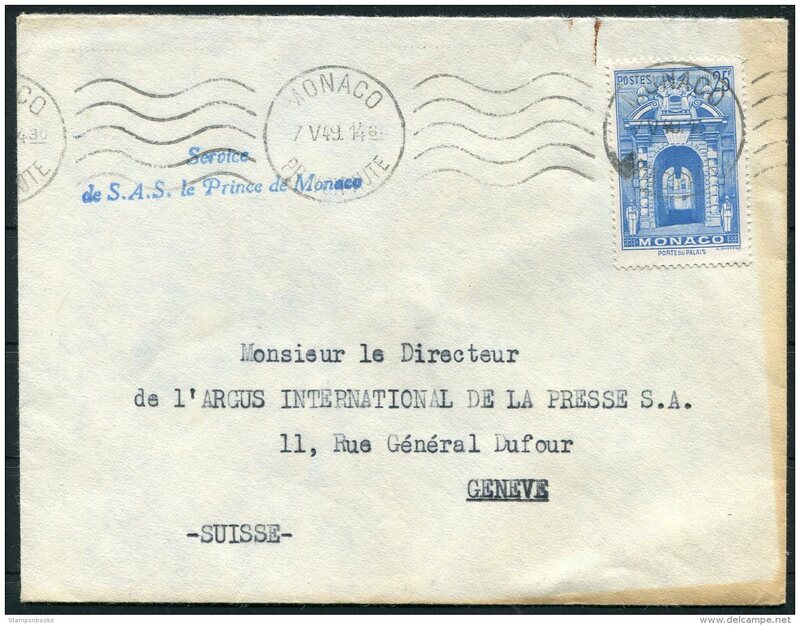 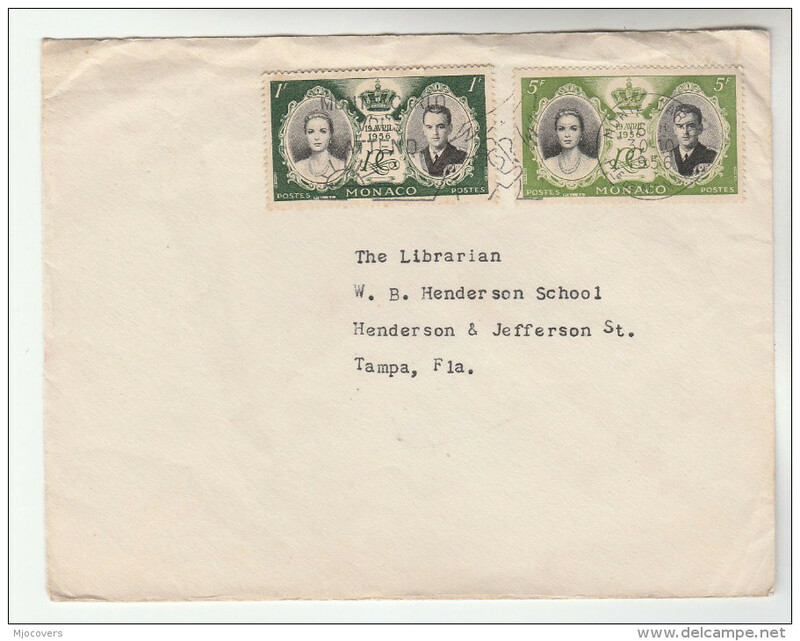 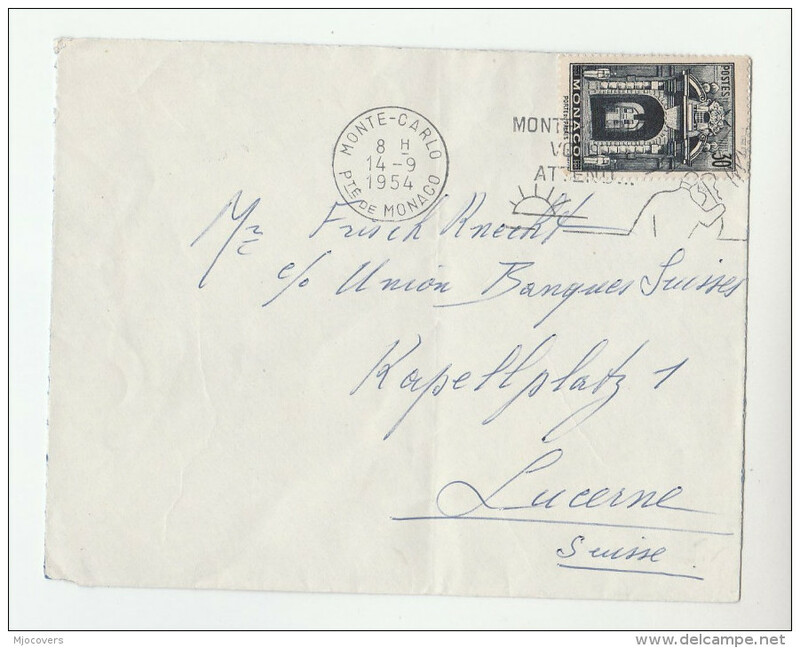 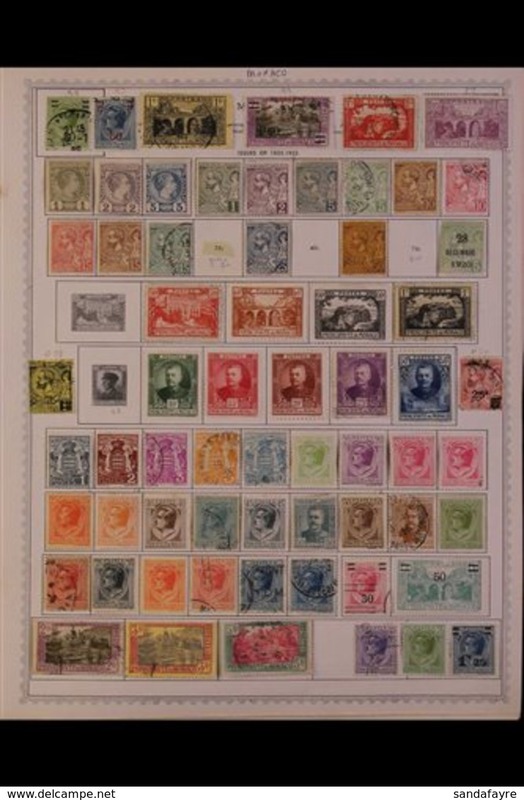 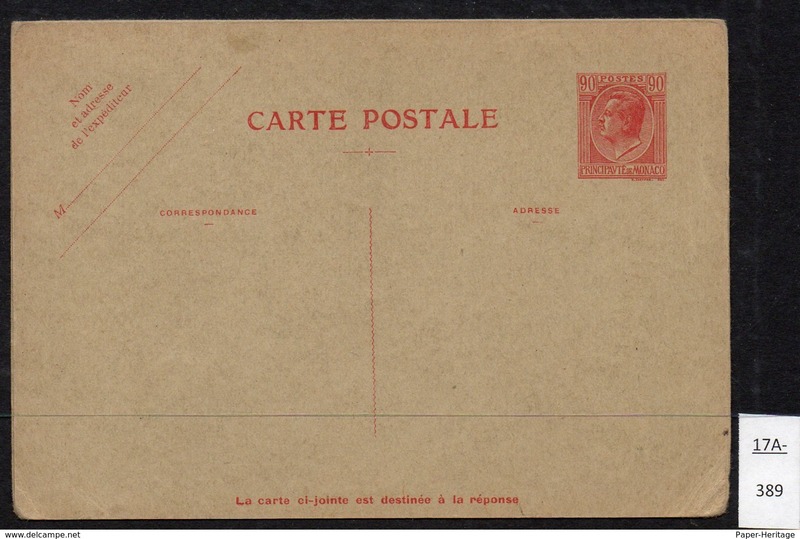 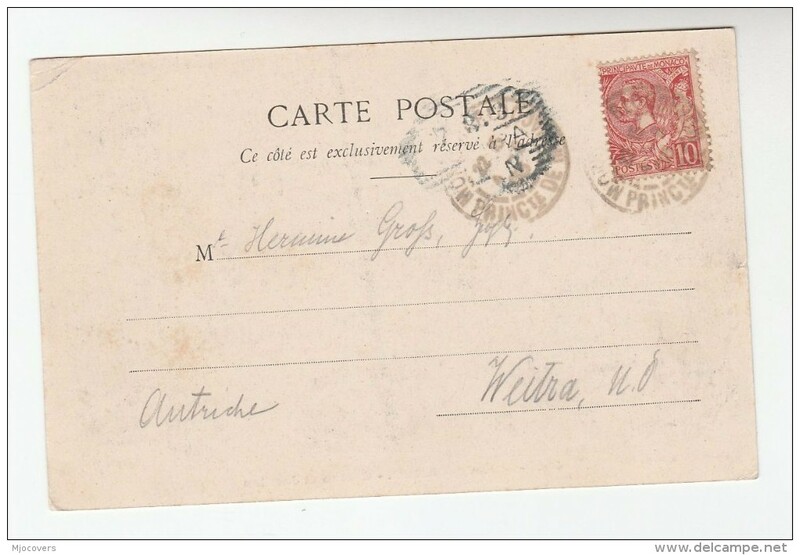 New Monaco EP Entier Postal Stationery Louis II with reply card attached 90c+90c neuf / unused . 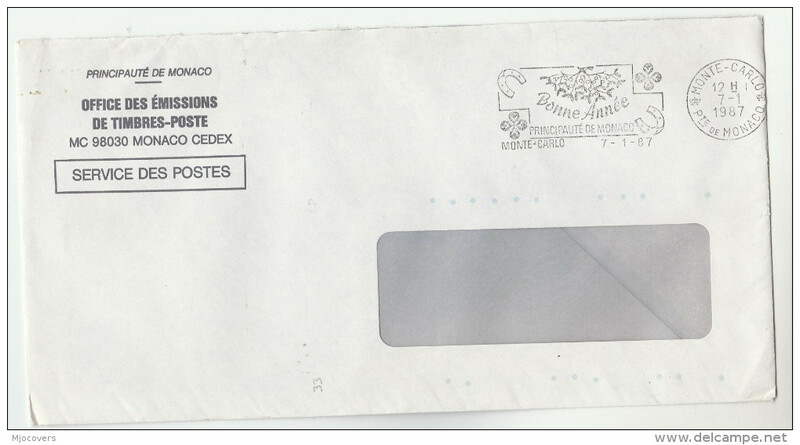 New Monaco Entier EP Stationery Louis II with reply card attached 40c+40c CP Neuf unused, très propre. 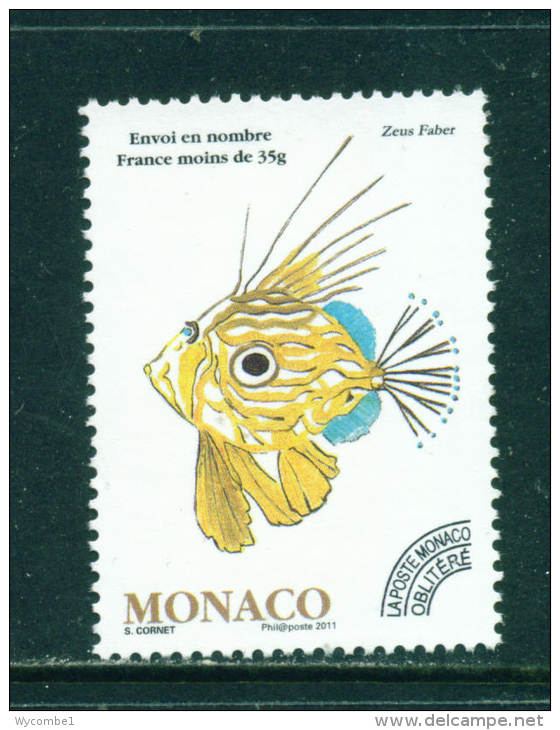 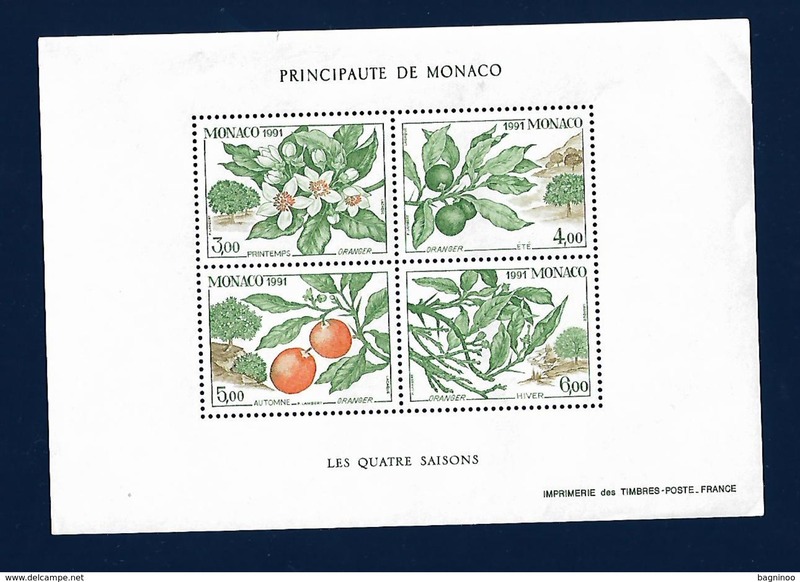 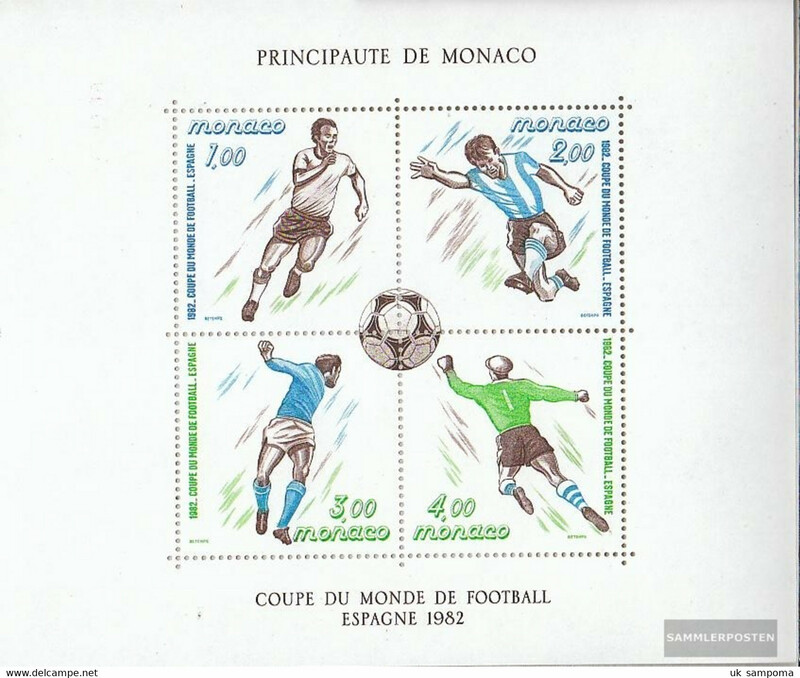 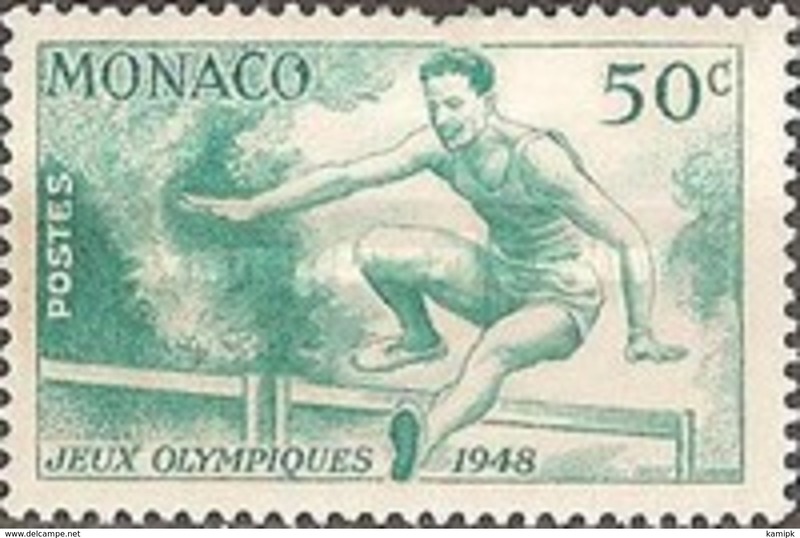 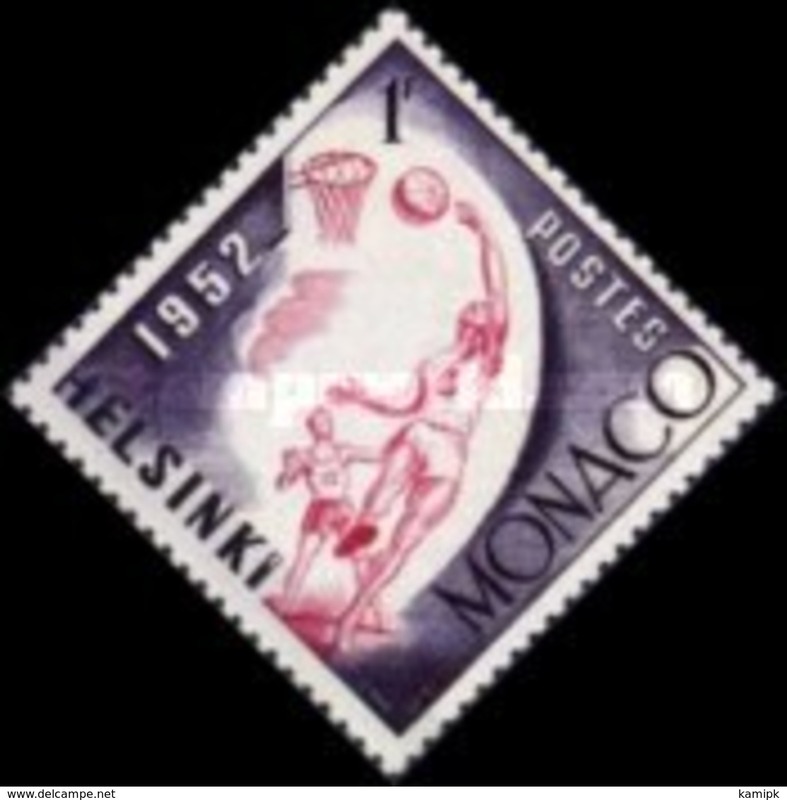 Monaco 1973 Monegasque Traditions unmounted mint. 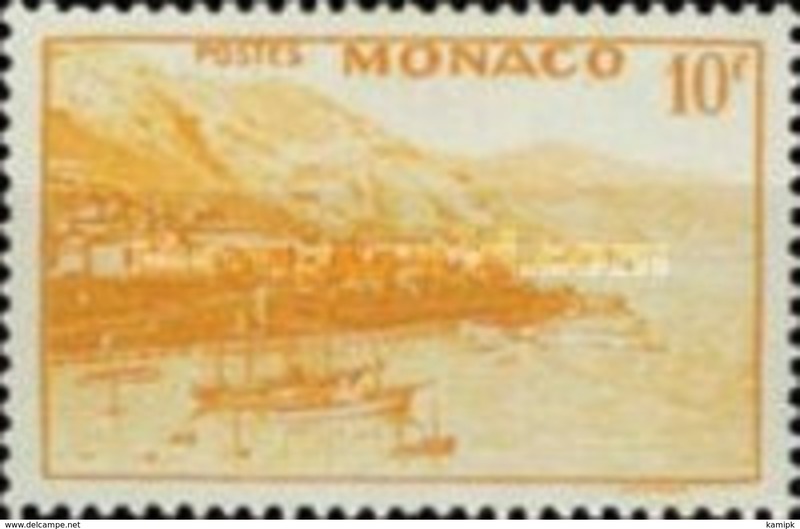 Monaco 1974 Red Cross unmounted mint. 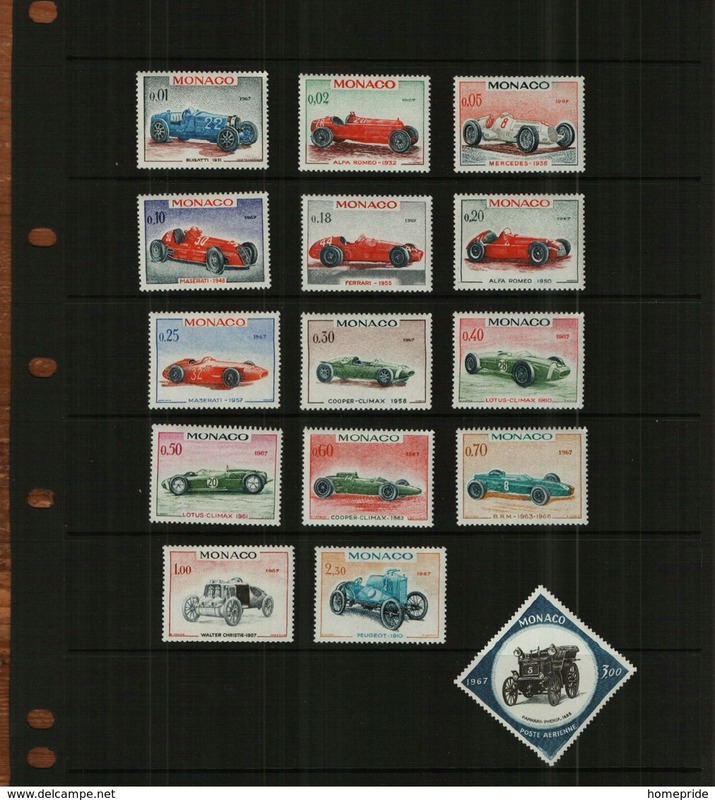 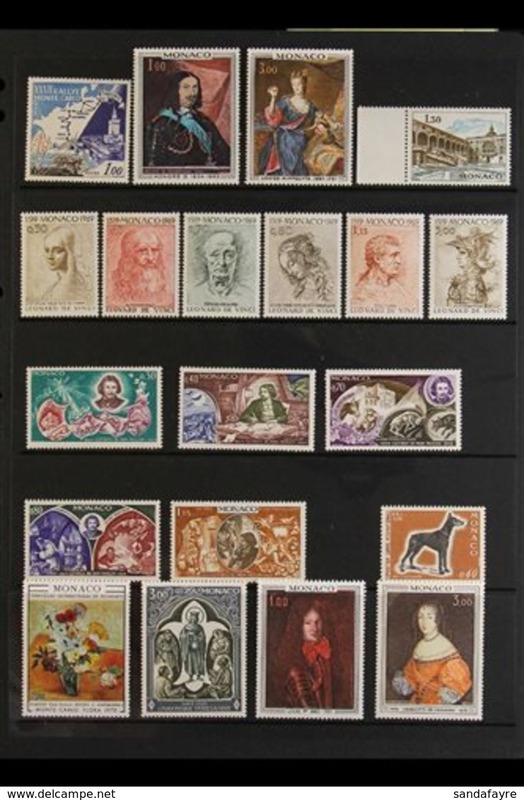 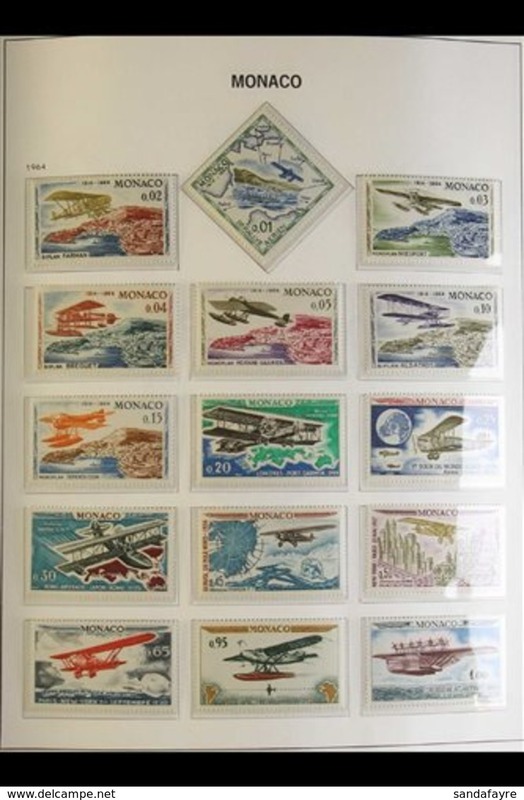 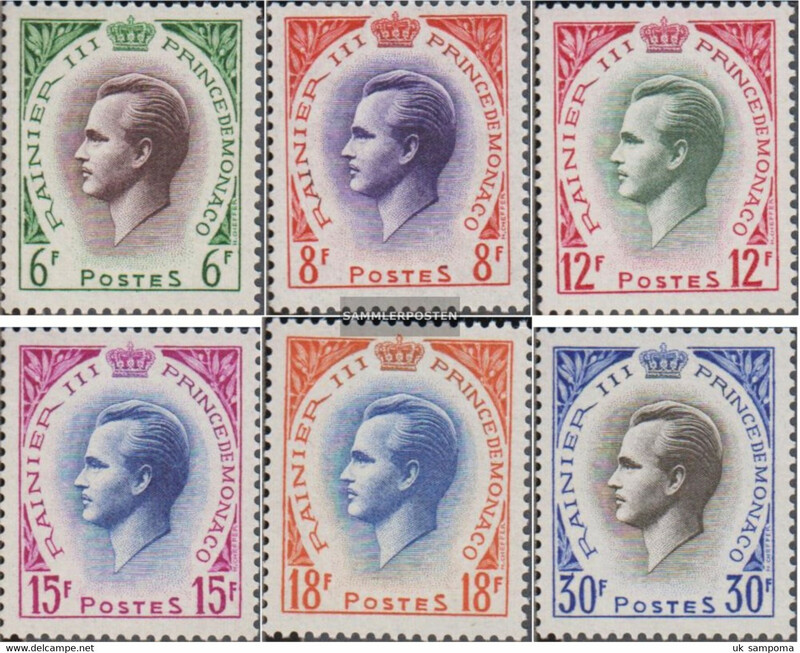 Monaco 506-511 (complete issue) unmounted mint / never hinged 1955 Rainer III.